EXTENDED TO 8/31 for inclusion in the publication and on Instagram. Email or send us your image and short description. Anyone with a connection to this territory (and you are welcome to define its bounds yourself) is invited to participate: Do you have an object that has pride of place in your home? Maybe a special photograph, a favorite painting, a keepsake, a trophy, or something completely unexpected? The areas surrounding Street Road and their constitutive communities (immediately including Eastern Lancaster and Western Chester Counties in Pennsylvania) are often not included in arts and cultural mappings. ​This project seeks to explore this situation and to consider the situation of arts and culture gaps in geographies, particularly with respect to interstitial areas such as our own. This exhibition, following on from and expanding our 2016 project 7000 acres: a residents' history of Londonderry Township​ is by residents of 'our area': it takes in objects important to people in our surrounding communities. What has pride of place for us, as individuals, and collectively, and how can this help us to think about place and our relationships in it? To think through these questions, the project centers Street Road and our location, Cochranville, PA, and takes in a ‘place’ of 7 million acres (a radius of about 59 miles), expanding and our practice of highlighting the complex material culture of 'here'. With this partially arbitrary mapping, major cities in our region fall at the periphery, and we continue to consider the questions: what makes up our region?, any region?, and what is our place in it? 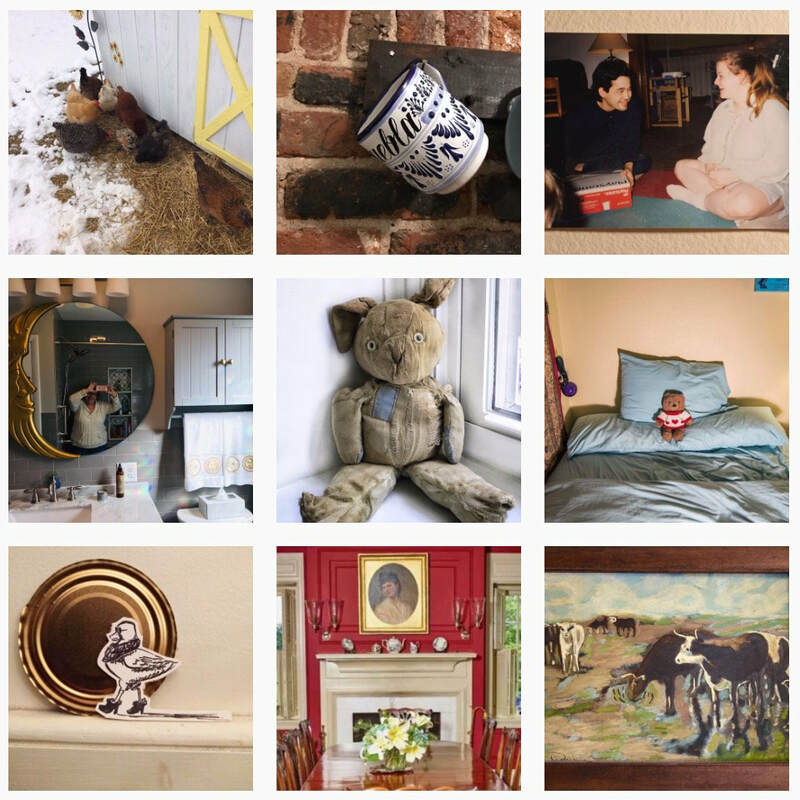 Every photograph submitted, along with a description of why the object is significant for its owner, will be exhibited and also included in a 2019 publication. • Take a photograph of your object in the place it usually lives and bring or email this to us, along with a short text explaining why it’s special to you. • Your text could be just a few words, or up to a long paragraph or two, or three. If this part is difficult, you can call us and describe your object - we will write it up for you! We are also able to come take photos in some cases, if access to a camera/phone is tricky. • Please include your name, and your town/municipality. Note that this is open to all ages, and we leave it open to your interpretation as to where exactly the bounds of 'our' 'area' are! Any questions? Just message / email us! We would love to partner with you. If you would like us to help spread the word, and/or to be an exhibition partner, and possibly to provide space for satellite components of this project, please get in touch! Listen to our interview about the Seven Million Acres project with the Artifactual Journey Podcast here and on iTunes. Street Road will host this session at the Common Field convening, with participants Fawn Daphne Plessner, Emelie Chhangur - AGYU (Art Gallery York University), and Matthew Fluharty of Art of the Rural. We'll make some trouble for thinking in binary as regards framings like ‘urban’, ‘suburban’, and ‘rural’. This will be recorded and re-played at Street Road later this summer, as part of our programming for Seven Million Acres: Pride of Place. Date and time of screening TBA. General information about Common Field and the Philly convening info here. The field of art is framed by a normative belief that urban spaces constitute a ‘center’ of cultural endeavors and that rural spaces are at the ‘periphery’. This imaginary is increasingly challenged by concepts that ambiguate conventional understandings of the ‘urban’ and the ‘rural’, as well as framings such as the 'suburban' or 'exurban'. Such designations do not capture the variegated social and cultural spaces that have become visible in recent decades, comprised as they are of axes of relationships and mobilities amongst multiple places and that also intersect with online spaces. Such designations also serve to reify place through colonial vocabularies and concepts and thereby reinforce not only the racialization and industrialization of space but also leave out important indigenous concepts and relations to place. They also sustain immobilities, even as mobility and access is increasingly assumed. This session draws out speakers’ and attendees’ perspectives to examine working in multiple in-betweens, aiming to raise new questions about the cogency of claims to centrality and marginality.